Qubic originally stemmed from the acronym QBC, which stands for quorum-based computing. While the project has taken on a life of its own, it was created as an IOTA protocol to bear the load of the heavy, quorum-based lifting. This includes constructs like smart contracts, oracle machines, and outsourced computations, all designed to build an IOTA-based world supercomputer. Most roadmaps showcase a chronological “road” with detailed blurbs highlighting the milestones along the way. Building a business in the technology industry is hard work, and like all businesses, unforeseen obstacles await at every turn. This leads roadmaps to being updated frequently, or scrapped altogether in favor of more accurate versions. Qubic is quite open with the fact that their roadmap is changeable, and instead of estimating hard dates for the steps they take, the design of their roadmap simply shows boxes for each project with a “loading bar” denoting their current progress. The IOTA mission is an ambitious one, and Qubic was established as the backbone of the project. The recently released roadmap gives us a glimpse of what the future might hold for IOTA holders, and also for the progression of technology as a whole. On the latest version of their roadmap, Qubic has specified 5 projects they’re currently working on: Abra, Abra Libraries, Qubic Protocol, Q-Tangle, and Oracle Machine. Abra is a trinary-based programming language that is being using to construct Qubic tasks. The reference documentation that details the technical aspects of the language is nearly 50% complete. There are 2 Abra compilers currently being worked on. A code compiler acts like a translator between high and low-level programming languages in order to create a functioning program, which is a key component in allowing the project to scale. The LLVM compiler will translate Abra code into x86 code, while the FPGA compiler will turn Abra code into Verilog code, allowing Qubic protocols to run on FPGA directly. As a future extension, Qubic plans to facilitate simplified Abra code creation with a specified development environment. Qubic is in the beginning stages of creating an Abra library filled with the standard functions of the language, along with the necessary documentation. They’ll also be creating support libraries in future extensions for their compilers, providing a map between Abra and x86 or Verilog code. 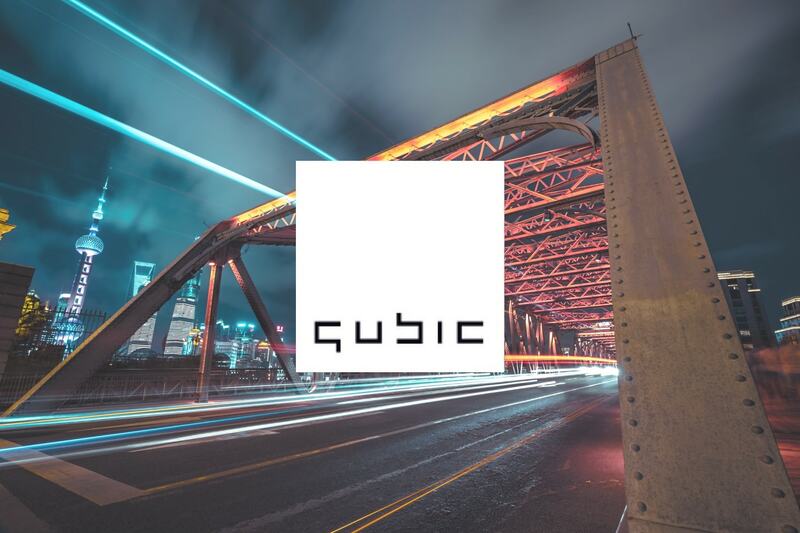 The current iteration of their roadmap shows progress on the reference documentation of the Qubic Protocol, as well as the whitepaper detailing some of the technicalities. The team is gearing up to start work on a functioning use case of the protocol running on the Tangle. The project with the largest scope on the roadmap is Q-Tangle. Most of the project is in the earliest stages, but the documentation and implementation of Qubic-specific transactions is nearly 50% complete. Reliable timestamps are being generated and documented as well. The rest of the project contains the following attributes, as described by the Qubic roadmap. Assembly — The creation and maintenance of assemblies by defining assembly and epoch parameters. Quorum — The oracles committing and revealing results and forming a consensus about the quorum, as well as the qubic owner validating the quorum result. Rewards — Determines how much a qubic owner pays which oracles, and provides a record that keeps track of payments. Resource Test — Defines the initial implementation of a functioning Proof-of-Work qubic, and runs the resource test, posts the results, and agrees on the weighing factors. The final segment of the roadmap details the components of the Oracle Machine. 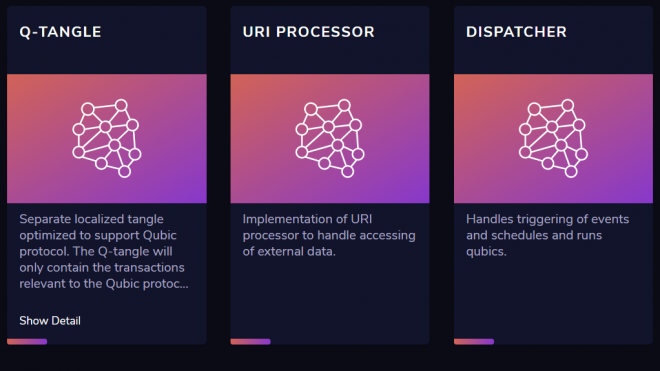 The development team is roughly 33% finished with the URI Processor, the Dispatcher, and a separate Q-Tangle optimized to support the Qubic Protocol. The URI Processor will allow the Oracle Machine to access external information, while the Dispatcher triggers events, schedules, and runs qubics. The only aspect of this project that isn’t under way yet is the Q-Node, which is a full node that will allow the Qubic Protocol to run. Qubic recently promoted their roadmap on the IOTA subreddit, then stuck around to answer some of the questions users had. If you have more detailed questions after reviewing their plan for the future, be sure to look through the questions answered in the Reddit thread. For more information on Qubic’s vision for the future, check out their dedicated website. Matt is a copywriter and community manager working full-time in the cryptocurrency space, fascinated by the implications blockchain technology holds for individuals worldwide. When he's not writing in coffee shops overseas, he's probably making music, snowboarding, lifting weights, or on his way to the lake.